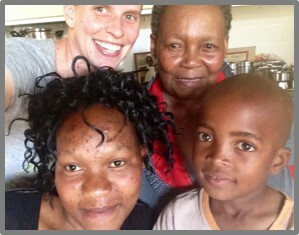 We have been busy here in Lesotho since our last update! Here are some highlights of what has been happening in our ministry and family life. 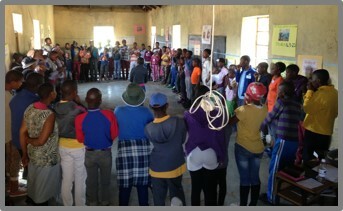 From August 17 – 28, LXP South Africa hosted the annual Beat the Drum outreach in Jeffrey’s Bay. We were privileged to join the team for the second week and loved reconnecting with friends from LXP, Michigan, and Idaho. After teaching Beat the Drum at two local high schools in the mornings, a special treat for us was joining our friends, Cornie and Prima Ngosa, in the afternoons at their Beats and Books Ministry. 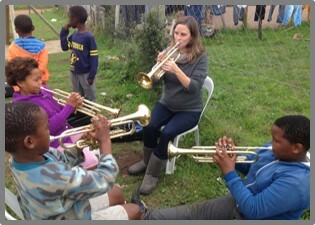 At this after school ministry program, children in the community are taught to play musical instruments and encouraged to embrace a love of reading and education. It is always refreshing to join our extended LXP family in Jeffrey’s Bay and we praise the Lord for all he continues to do through the Beat the Drum outreaches and LXP ministries. Weekly in our village there are three different groups of individuals who meet in each others homes to study the Bible, share what God is doing in our lives, and pray for one another and our community. Thrice now we have invited all the members of those three groups to meet together at a combined gathering. These larger meetings have been a fun way to fellowship with others who are walking a similar journey in the same village and encourage one another with testimonies of how God has been working through our weekly studies. One of the young ladies shared she is now able to read and understand the bible for herself and has the confidence to share with others what she is learning from God’s Word; Nkhono (Grandmother) Selloane (top right) is thankful for the way she has experienced God take away her fear of living as a single lady with her granddaughter because she knows the Lord is watching over them. First of all, there is too much to say and too many awesome pictures of these related events to squeeze on this page, so please see the full retreat and camp report on our website www.lxplesotho.com. We did things a little differently for our leaders retreat and camp this time; the theme and session topics for both events were the same with the intention that the youth leaders would take a much larger role in many areas at the camp. As we explored our theme “The Journey” we examined the experience of the Israelites as God took them out of Egypt and into the Promised Land and sought to apply lessons from their challenges and victories to help us in our own journey of life. In contrast to the relatively small number of leaders at the retreat, the number of young people we camped with was higher than ever! Although, quantity does not determine quality and we were so impressed by the way our leaders, some for their first time this camp, stepped up to lead sessions, set wonderful examples for their peers, and pray in faith for deliverance and breakthrough. We also had visitors from Maseru for their first time at camp! As you know, we are nearing the end of our major projects in completing the LXP House. One of our last phases in building is installing flooring. 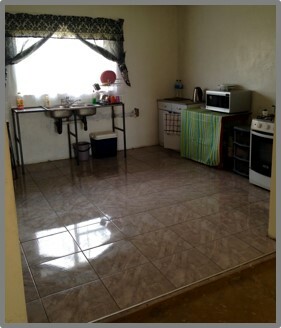 Praise the Lord we were able to complete the tiling in the kitchen, bathrooms and front porch! The improvement in aesthetics and ease of care is significant, and we are thrilled with the results. Our prayer is to raise the $3000 still needed to install laminate wood flooring in the rest of the house before the end of the year. 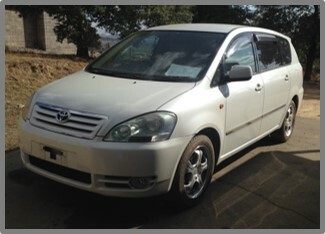 Another answer to prayer was God’s provision of a buyer for our Toyota truck and an affordable vehicle that will meet our family’s needs in this new season. It was hard to say goodbye to our faithful truck, affectionately known by its license plate number “6058”, that has taken us to so many camps, on so many road trips, and to so many outreaches. However, it was not so hard to say hello to the new vehicle that will seat seven and afford significantly better fuel consumption. Our youth boys are less than thrilled that their work truck is gone, but we are enjoying the comfy ride. It did great in its trial run helping us at the recent camp, and thus we proudly introduce the new undercover mini van/mommy mobile, Toyota Ipsum! We also give glory to God for the way he opened doors and poured out his favor every step of the way as we completed the sale of the truck and the purchase and registration of the Ipsum. It is usually a time consuming and cumbersome process to do this; we are thankful it was done quickly and satisfactorily. We had to be sure to get this update to you this week because it might be a little while before we have the chance to write again. In a few days we will be crossing the border into South Africa to await the birth of our daughter. 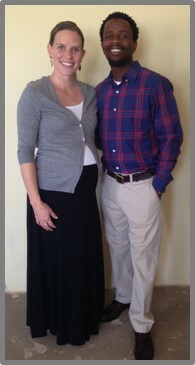 She is due October 21st, and Elizabeth’s parents will join us for this special time on the 15th. We are so thankful for God’s blessings of health and strength for all the preparations so far, and looking forward to shifting gears into parenthood. We are also so thankful for each and every one of you who has sent us a card, gift, or kind wishes and prayers for this new step in our journey! We can’t wait to share the good news with you when baby girl comes.